There is no CGI here. i took this photo at Isla Del Sol, one of the many islands on the highest navigable lake in the world – Lake Titicaca (3,812m)- near the borders of Peru and Bolivia. 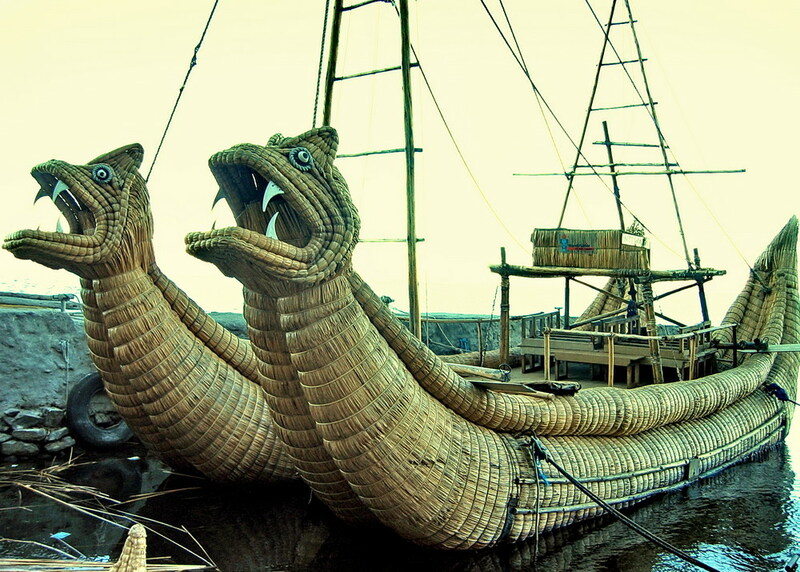 The designs are based on smaller boats made by the UROS, a group of people who lived on 42 self-fashioned floating man-made islands — before the INCAS (AD 1200) came and conquered them. According to >wikipedia< some 3,000 descendants of the UROS people are alive today.